You need to understand your personal property insurance before moving anything to a storage unit. Renting a storage unit is a great way to hold on to those items you only use once in a while without cluttering up your home. You can fill your rented space with holiday decorations, seasonal sports equipment, large furniture you don’t need at the moment, and more! The only problem is that when you fill that space with valuables (e.g. golf clubs, skis, antique furniture), you run a risk. What if your stuff gets stolen or burned in a fire? It’s important that you know whether or not your belongings have insurance while they’re in your storage unit. Generally speaking, your homeowners insurance or renters insurance policy will protect your property no matter where it is. That means that if your stuff gets stolen while you’re on vacation or taken from your car or (you guessed it) storage unit, you’re covered. You need to know the specifics of your coverage, though. In most cases, your off-premises coverage has a limit much smaller than your policy limit. For example, you might have off-premises coverage up to 10 percent of your total policy limits. If you don’t have enough off-premises coverage for any high value items you want to put in your storage unit, talk to your agent. He or she can help you individually schedule those items into your policy so they’re insured for their full value. In fact, it’s a good idea to talk to your agent no matter what you want to store to make sure you understand the details of your protection. 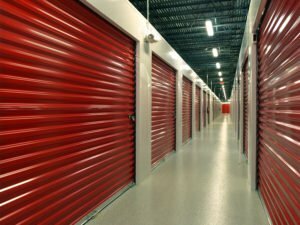 Is the stuff you have in storage insured? To make sure you have enough personal property insurance for your stored belongings, contact McCarty Insurance Agency. Whether your storage unit is in Fresno or the surrounding California area, we can make sure you have peace of mind about its protection.